First I’d like to quickly apologize for being absent from blogging for so long. The exciting and intoxicating challenges of leading a growing company means I have less time for other pleasurable endeavours, but it won’t keep me away forever. With that, lets ease back into genYchina.com with a review of Gerald Clayton. In the past year that I’ve had Gerald Clayton in my playlist, there are countless times that I’ve heard his songs and had to flip through my iTunes to check who it is. Every time I expect it to be Robert Glasper, because their playing styles are very similar — lyrical, light and elegant, yet with deep-seeded funk and soul driving the course of their musical compositions. While Robert Glasper uses a lot of hip-hop and RnB elements in many of his jazz-fusion pieces, Gerald Clayton utilizes a traditional jazz ensembles but can still capture the same rhythm and blues attitude we’ve come to know and love. It doesn’t surprise me therefore, that Gerald Clayton, a Jazz Pianist, has for some years been a fixture in Roy Hargrove‘s quintets. Roy Hargrove has been one of the main stalwarts of Jazz-Funk and Jazz-Soul fusion for over 10 years with both the RH Factor and his Quintet. 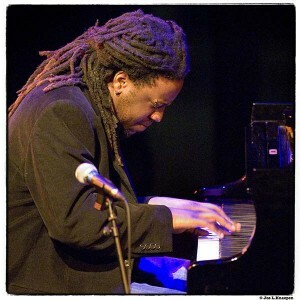 Gerald Clayton toured with Hargrove’s Quintet throughout the 2006-2007 seasons and was the pianist in Hargrove’s 2008 ‘Earfood’ album. I am sure these were important formative years for Gerald Clayton and did a lot in forming his sound today. I believe the ‘Earfood’ album was when I first noticed Gerald Clayton. If I go back to that album I am sure we would find a few tracks that showcase some exquisite piano playing. Clayton’s edginess is matched and rounded-out by his deliciously intricate playing. Growing up trained in classical music, he brings the full breadth of his repertoire and experience into his jazz music. His 2006 work on two Diana Krall albums may have brought good seasoning to this side of his sound. What is even more impressive is Clayton’s youth. Graduating with a bachelors of Arts from USC Thorton School of Music in 2006, at the age of 27 Clayton already has 2 albums under his own name. He’s already garnered 2 Grammy nominations, one for the song “All of You” on Clayton’s 2009 ‘Two-Shade’ album, and another for his work in “Battle Circle” on the 2010 ‘The New Song and Dance’ album from his father and uncle’s band, The Clayton Brothers. While Gerald Clayton’s first grammy win eludes him, it is obvious that it is an inevitability. 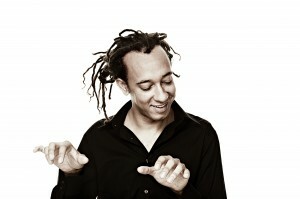 Gerald Clayton is defining himself as one of the leading figures in this new generation of Jazz. 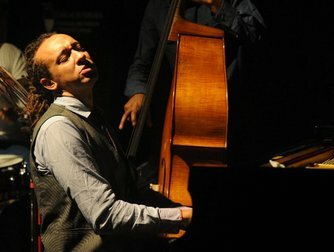 I’m still working through Gerald Clayton’s newest album, ‘Bond: The Paris Sessions’ released earlier this year, but what I’m hearing so far is a continued maturation of Gerald’s sound; drawing on his classical piano training, he is wisely being patient with his compositions, letting them simmer and ripen at their own pace. Clayton is not afraid of the nakedness of raw, articulate jazz. Instead, he boldly fills the space with unwavering, refined, independent piano that demands your attention and respect. At each moment you can hear he is in complete control, and is aggressively driving you, the listener, to meet him at the middle in the world he is creating. I’m thoroughly impressed by this young pianist and have already gained hours of enjoyment from his music. I have nothing but continued high hopes and expectations for what is to come. In the past year I”ve been listening to and writing about a lot of fabulous jazz guitarists who have made big waves in the jazz world, starting from Pat Metheny through Mike Stern, down to Kurt Rosenwinkel and Matt Stevens. But lately I”ve found myself returning to my old stomping grounds of Jazz piano, as some fresh sounds have made heads turn, including mine. 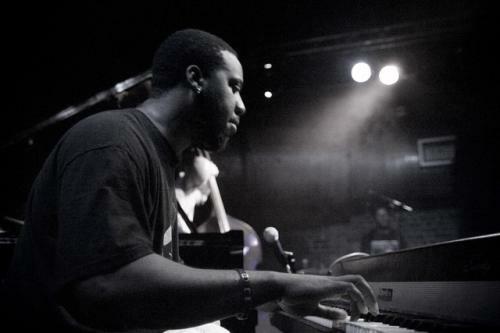 One such individual on the new vanguard of Jazz piano is Robert Glasper. He draws direct heritage — no, lineage — from the likes of Thelonious Monk, Bill Evans, Herbie Hancock, Chick Corea, and Brad Mehldau. Indeed the delicacy and intimacy of Robert”s musical style and sensibilities has Bill Evans written all over it. He is the Bill Evans of the new age, the Bill Evans of our generation. And yet his voice is all his own, standing tall among other contemporary musical giants. 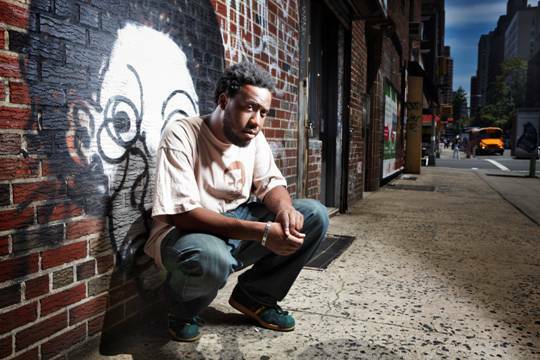 Rooted firmly in the Neo-Soul, Gospel, Hip-Hop, and Soul traditions, he counts his collaborators and friends such icons as Bilal, Mos Def, Q-Tip, Kanye West, J Dilla, Erykah Badu, Jay-Z, Talib Kweli, Common, and Maxwell, to name a few. Within the Jazz world he has been a regular component to the sounds of Russell Malone, Christian McBride, Terence Blanchard, and Roy Hargrove. 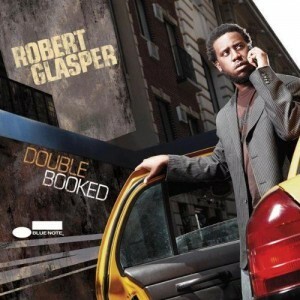 Robert Glasper carries the mantle of resolving jazz-hiphop/neo-soul fusion. He approaches this challenge with subtlety and intelligence, taking his time, and using a loose definition of time. What Glasper does is brings a finesse and refinement to hip-hop and neo-soul, one that has been polished in the tradition and punctuation of jazz. You can see examples of this in songs such as F.T.B. and J Dillalude on the 2007 In My Element album. Conversely, he brings a swagger, an attitude , a bite to his jazz that is full on Soul. He does this concisely in songs like Riot and Rise & Shine on his 2005 Canvas album. The most marvelous thing about Robert Glasper is his devotion to uncompromising melody. From the bowels of Duke Ellington and Sonny Rollins, but ultimately Bill Evans, Robert”s piercing, what-you-see-is-what-you-get melodies clarifies reality for the listener. At the age of 32, signed on with Blue Note, and already four albums under his belt, Robert Glasper”s career and sound is just beginning to ripen. But how fresh it is. This is North American contemporary jazz at its best. I love finding exciting new Jazz music creators. I love them even more when they are doing it in China! Case in point: Hua Acid Live. These guys just formed at the beginning of 2009, and they””ve hit the city of Beijing hard with their vicious rhythms and hypnotic tunes. 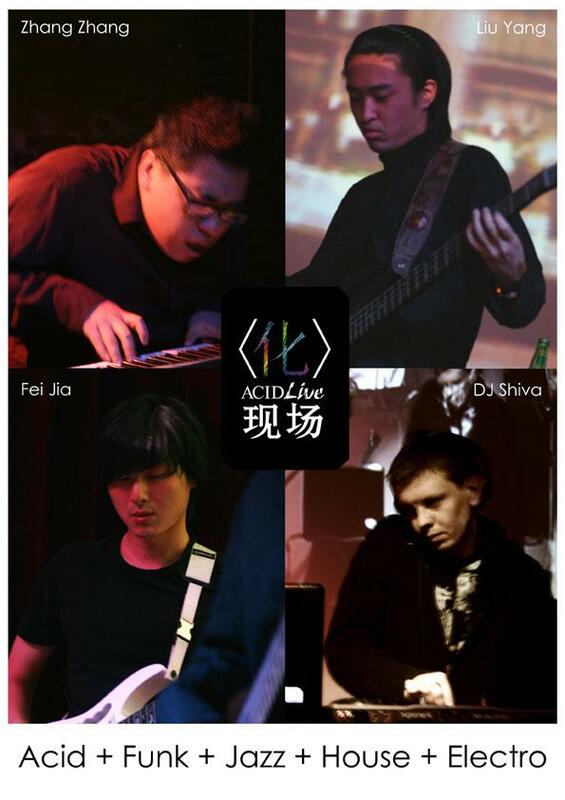 Being promoted by local media as the Only Acid & Funk group in Beijing, Hua Acid Live (or just known as Acid Live) are true to form with hard-hitting Acid Jazz mixed with Funk and House beats. The band has been busy this inaugural year building an active local following and strutting their stuff at all the hottest live music venues in town. The band says it is a melting pot for cultures and musical styles with the sole purpose of making good music. This can best be seen by the groups”” eclectic roster: classical-pianist-turned-funk-keyboardist Zhang Zhang, UK expat Chris Cook AKA DJ Shiva spinning Electro and House music, guitarist Fei Jia and bassist Liu Yang. Acid Live is joined regularly by other accomplished and diverse musicians such as Irish vocalist Anne Marie, American rapper Kor-E, Hip Hop group In3””er, and Chinese guzheng player Zhang Wei. While the music Hua Acid Live plays is not ground-breakingly new, it is important to note that the high calibre with which they are playing this kind of fusion, is being played in China. I have great excitement and high anticipation when I think about the scores of Chinese music patrons who will be exposed to this kind of music for the first time. And I have even greater anticipation thinking and hoping for Hua Acid Live to record their first album! During their live performances that I have attended, they have mostly played standards that can be recognized by the audience — namely mainstream jazz-funk-soul songs for a still-maturing listenership. But Acid Live has played a few original songs as well. Especially when they are mixing musical styles like with DJ Shiva, or one of the musical guests, you really get a sense of their potential in creating fresh, unique music that hails from Beijing but is made for a global audience. Of course, there are many, many great unique musical groups that have put Beijing and contemporary Chinese music on the map, like PK-14, D-22, and Carsick Cars. But Hua Acid Live is really the first real Chinese foray into Acid Jazz+. I hope but the first! You can read some more reviews about Hua Acid Live at MySpace, TheBeijinger and CityWeekend 1, CityWeekend 2. Or just watch them now!